WSF is back and we are coming strong. We are humbled by the tremendous support given by the community even at the odd hours of us struggling to put together the largest festival for startups and the unbelievable passion shown by the startups themselves who have applied for the program. Being the first year in SAARC we did expect the delay and we are doing everything possible to streamline the program execution. Moving forward we will have a fair and open, community oriented structure for execution. We have officially crossed 1000+ startup nomination for Global Startup Awards SAARC Edition and for WSF Revolt. We are so motivated by the positive responses, constant follow ups and motivation by all our partners, especially our country partners in SAARC. Our team while committed to execute the event as planned, couldn’t catch-up with the delays that deterred us from executing WSF on time. We apologize for the tremendous delay and confusion regarding the processes and dates for WSF. We take this opportunity to help you understand the plans of execution going forward and to announce the start of a weekly open letter, in our blog, regarding the execution of WSF to our community. 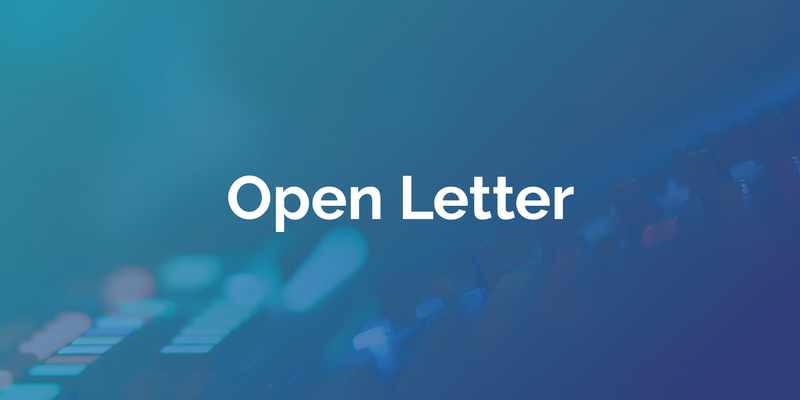 We believe open letters are the first steps of becoming a fair and open organization. WSF being a firm believer in bridging the distributed ecosystems of innovation across the world, couldn’t have executed a quality one without our participants and speakers from other countries, who wouldn’t have received the visa on time if we had executed in February. We are restarting conversations with SAARC CCI and YEF to establish a single window system between our SAARC countries so that the participants can travel smoothly. We were mind blown by the number of early ticket buyers and we are officially giving them elevated access for WSF, everyone will receive an email confirmation soon. We will be launching the “Road to WSF”, a detailed plan on how we will be giving back to the community which accepted us with open hearts. These will have details on community events and other associated independently organized events under WSF brand. We will also showcase more details on the Conference, Revolt, xHack and other associated WSF original events. Thank you once again and looking forward to see the same support moving forward. We are super excited in getting everything back on track again. The World Startup Fest (WSF) celebrates confluence of emerging technology, entrepreneurship and global economy. WSF is the most celebrated destination for disruption as we inspire, discover, showcase and appreciate innovations that make a dent in the universe.